New Moon is a glittery iridescent copper shade with a metallic finish. The pigmentation is pretty good, although the texture when applying it becomes less creamy due to the glittery texture causing the colour pay off to be a bit less than I'd hope. It last a good few hours on me but I imagine wouldn't last too long on oily eye lids. The shade looks great with blue/green eyes, really making them 'pop'. It's great for that one swipe eye shadow look, very quick and easy but a lovely result. 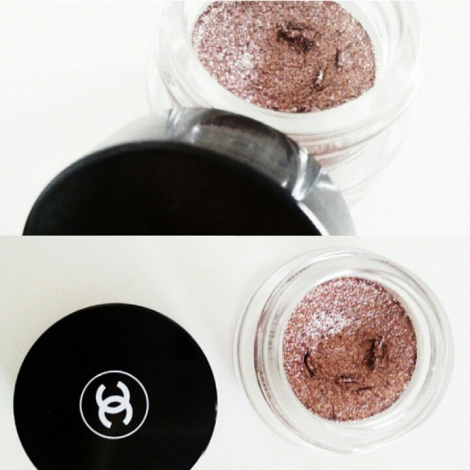 This eye shadow is beautifully sparkly, great for an evening out or a more dressed up day time look. It can easily be applied with either fingers or a flat brush; simple!